This entry was posted on Sunday, June 7th, 2015 at 7:25 pm and is filed under Uncategorized. You can follow any responses to this entry through the RSS 2.0 feed. You can leave a response, or trackback from your own site. 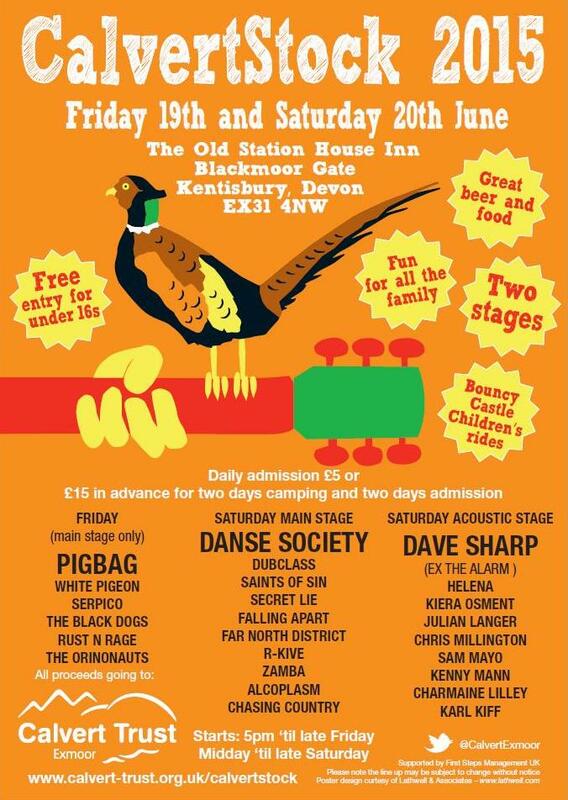 Chris Lee’s Pigbag will be headlining the Friday night at CalvertStock in Kentisbury, Devon on 19th June. The event is to raise money for the Calvert Trust charity.